2015 Porsche Cayman *LOW MILEAGE* Our 2015 Porsche Cayman is the perfect vehicle for the "Car Lover" in all of us. Powered by a 2.6L Flat Six cylinder engine mated to a traditional 6-speed manual transmission, this Cayman is an absolute joy to drive! 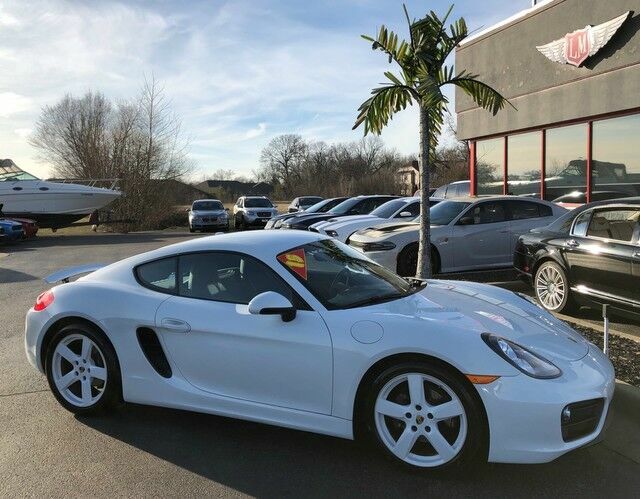 Coated in Carrera white metallic paint and color matched wheels, this Cayman is as stunning to look at as it is to drive! Options include black leather seat trim, leather package, embossed head restraints, and much more! Ask about our extended bumper-to-bumper, unlimited mile warranties for the piece of mind to match this AMAZING vehicle!